Every industry has its fair share of difficult customers so what I’m about to share with you isn’t at all unique to publishing. Most authors are very kind, sweet people. They are professional, have researched the business to some extent, know how to use a search engine correctly (ahem…), and communicate in a businesslike and reasonable manner. But, there are a select few who are just plain jerks. Here are descriptions of some that come to mind from years’ past…and one numbskull in particular who contacted us just last week. Then there was the author who threatened to commit suicide if we didn’t publish his book. He explained that life wasn’t worth living if he couldn’t even pay to get published. Last time I checked, he was alive and well. His threat was an empty one, and obviously used to try to convince us to publish his (very bad) book. Add to that the multitude of authors in prison who have sent us their manuscripts, trying to profit from their crimes, or complaining about how the government railroaded them. No thanks. I’m not going to sell my soul to make a buck, thank you. Those letters go right in the trash. One author sent very disparaging remarks to me because, as a woman, he said I was not qualified to run a business. He became very abusive (his emails were laced with profanity), and insisted on only working with a man during the publishing process. 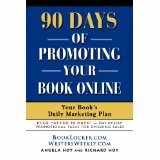 We terminated his contract and he tried to find a reasonable publishing deal elsewhere, but could not (because BookLocker has the lowest prices for services rendered (http://writersweekly.com/compare)). He later came crawling back, begging me to work with him. Since we keep our expenses so low, we can afford to turn down tons of business. I refused to accept him back into the fold and he then unleashed a tirade of more profanity-laced, degenerating emails, even mentioning my female parts in a very derogatory (and quite gross) fashion. I definitely made the right call to not work with that jerk! There was a small group of authors at an event I attended who followed me into the bathroom to ask me questions. They were seriously asking me questions through the door while I was peeing. After that trip, I immediately stepped off the speaking circuit, and haven’t done a gig since, though I’m frequently offered airfare, lodging, and speaking fees to travel and speak. I politely refuse them all. While the travel and hotels weren’t fun, the money was nice, as well as the additional business we got from authors learning about BookLocker. However, I’d been on the fence for a couple of years prior to that incident concerning the time I was spending away from my family. That kind of privacy violation pushed me right over the edge. I flew back home the next day, and never accepted another speaking gig. The guy boldly came to our back door, and knocked. I talked to him through the screen. He introduced himself, and said he wanted us to publish his book. After questioning him, and determining that he seemed a bit unstable, I told him to email me. He came by again the next day, and the next, and then the following weekend. I tried to be polite in the beginning but I finally had to tell him to not come to our home anymore. Last weekend, we received several emails from an author in which he accused us of violating his copyright for having his book for sale…which we don’t. We have never heard of his book, have never had it listed for sale, and have no connection to his book whatsoever. In fact, his book was published by the now-defunct Tate Publishing (http://writersweekly.com/angela-desk/why-hasnt-anybody-filed-a-class-action-lawsuit-against-tate-publishing-heres-the-likely-answer) (the owners are now mired in criminal charges). For a few snickers, laughs, and groans, I’m going to share this latest bizarre email so you can see how incredibly silly someone can sound when they don’t do their homework before sending out false accusations. Authors who feel they’ve been victimized should read up on copyright law, and practice effective search engine usage, before they start spouting ridiculousness. His emailed comments are unedited by us…for obvious reasons. Make sure you are contacting the CORRECT company. If you falsely and publicly accuse the wrong company online, you could be subject to a very expensive libel lawsuit. This individual likely saw that we posted an article about Tate Publishing, and that we were offering discounted publishing packages to Tate Authors. He put 2 and 2 together, came up with 7, and harassed a company that is in no way whatsoever related to Tate Publishing…and one that did NOT publish his book. He was asking for the name of the person at our organization that violated his copyright. If he had any inkling of how copyright lawsuits work, he’d know that he needs to sue the business, not the employee. By now, you can see that few of his sentences actually make any sense. And, this is the most ridiculous statement in the email, and shows his threats are meaningless. No publisher receiving something like this would take him seriously. Any publisher receiving this silly email would know that 1. The FBI is NOT helping him with his case; 2. He obviously doesn’t even have a lawyer; and 3. His FBI “agent” friend is a figment of his imagination. We sent him a polite email in response, telling him he’d contacted the wrong company. And, his email bounced. LESSON 5 – USE AN EMAIL ADDRESS THAT WORKS! I wasted 20 minutes of my very valuable time trying to find him online because I had to try to contact him before he started posting lies about us online. He doesn’t have a website (all professional authors have websites). I finally found him on Facebook. He hadn’t posted any promotional material about his book in 10 months so I have no idea if he even uses Facebook anymore. We received an email from you falsely accusing us of copyright infringement. I tried to email you back but att.net is bouncing the email back to us. We did not publish your book, nor are we selling it. You contacted the wrong company. Tate Publishing published your book. 4 Responses to "When Authors are Abusive…or Just Downright NUTS!" Writersweekly is proof that if you want to be successful you have to be resilient and above all keep a sense of humour. The scary stalker is a warning that writers should try not to divulge too much personal information online. That is funny. Angela has a lot of guts, will power and intelligence and tells a good story. I’m proud she’s published me a couple of times and look forward to her newsletters in this world where every good person seems to be harassed by numerous devils! Thanks for the laughs, although, I know for you these letters are not that funny. They take away precious, productive time. In a way, I feel a bit sad for these folks. I hope they find happiness and you have a wacky letter-free day. Cheers!